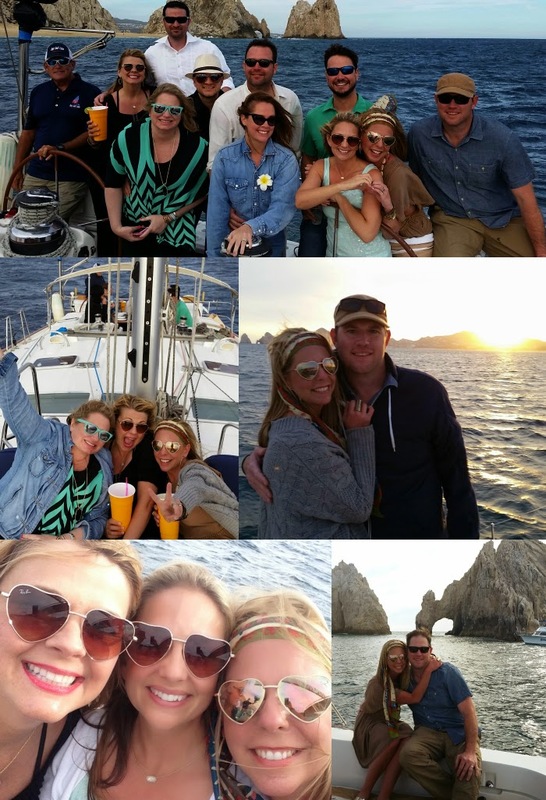 It has been so much fun reliving our trip to Cabo and posting bits and pieces of our trip. I have been most excited about sharing this post today. It's not so much about what I wore on our sunset cruise, but more about what we saw and experienced. 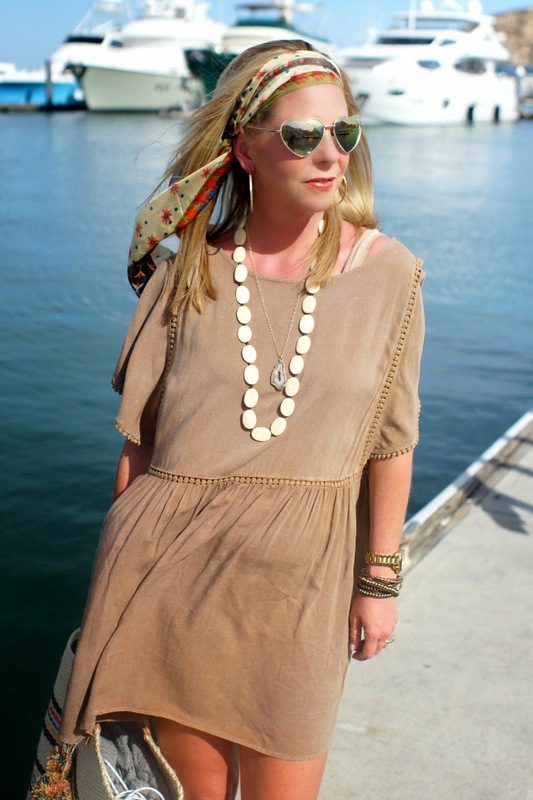 I will say that the outfit I wore had to encompass a head scarf...I felt the need to feel like a little pirate...ha!! Anyway, let me back track with a few sentences. We were in Cabo almost five years ago. There were only six of us last time. On a whim decided last minute to take a sunset cruise. 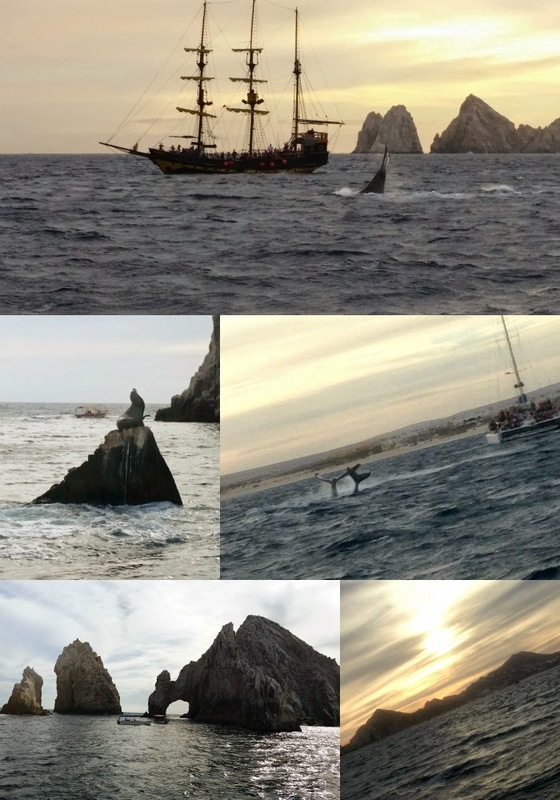 We just so happened to get lucky and randomly partnered up with Captain Bob of Day Sail Cabo. We had the BEST time! We knew we had to relive our sailing memories and book him again. He DID NOT disappoint, even though this trip was a tad bit more tame. If you go....book him...reviews don't lie!! The whale watching was almost unbelievable and we still cannot believe how lucky we got that evening. They were out in full force...mamas and babies galore. I uploaded a video. Not sure if it worked....hopefully it did and excuse the male verbiage! :) It REALLY is a sight to see with your own eyes. 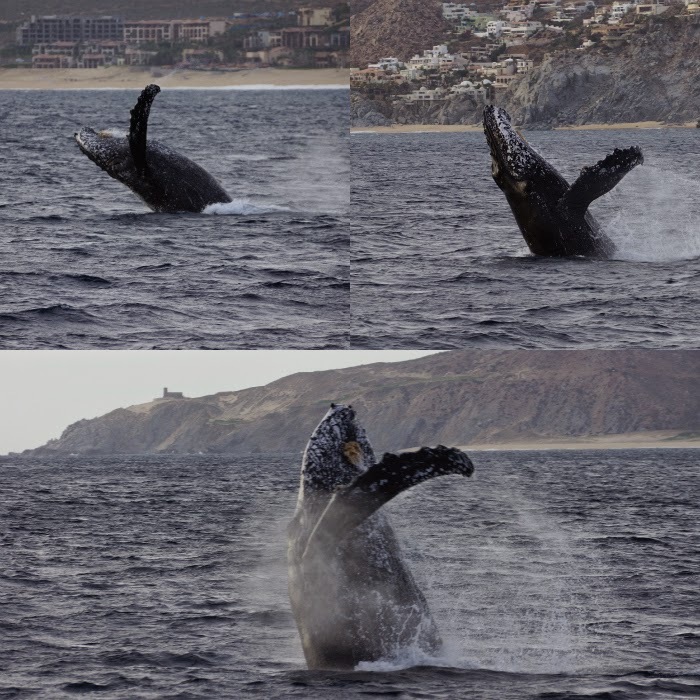 If you plan on traveling to Cabo in the near future, I highly recommend going during the months of Feb-March as this is prime whale watching season. It's one of the MOST breathtaking experiences EVER!! Plus the weather is phenomenal! !